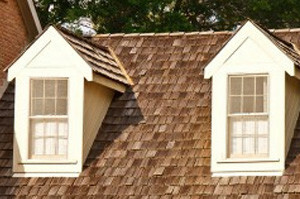 Shingled Roofing | Cedar Shake Roofing | Slate Tile RoofingNaperville Exteriors, Inc. is widely recognized as the foremost roofing company in the Greater Chicago Metropolitan Area. Even though we have been involved in roof replacements and roof repairs on Chicagoland residences and businesses since 2002, our company is well known for having more than two decades of background and experience in the roofing industry. As a result, customers understand that when they do business with our roofing company, they are working with a trustworthy company with a long history of installing high quality roofing at an affordable price. When our professional roofing contractors are engaged in roof repairs and roof replacement, customers can be secure in the knowledge that they will receive the finest work in the industry. Like any other team endeavor; the more the team practices, the better they perform. Consequently, customers are interested in having the well-performing team of Naperville Exteriors, Inc. on their roofs rather than anyone else. The last thing St. Charles customers want is for their roof to be a “training ground” for a roofing company. This is the reason they prefer Naperville Exteriors, Inc. over the competition. St. Charles, Illinois is located in both Kane and DuPage Counties. There are right around 33,327 residents who make St. Charles home. St. Charles is part of the tri-city area of St. Charles, Geneva and Batavia. The Chicago Tribune named St. Charles one of the “Top 10” for dining, arts, entertainment, recreational opportunities, unique shopping and lively nighttime activities. Family Circle also named St. Charles the “#1 of Best Towns and Cities for Families.” St. Charles residents regard Naperville Exteriors, Inc. as the best place to go for roof repairs and roof replacements. Our reputation for quality roofing services and for affordable prices is widely known. St. Charles’ homeowners and business owners can depend upon us to deliver them the best roof repairs as well as peace of mind. What is more, we are fully insured and certified with an A+ rating from the Better Business Bureau, besides being one of only six certified GAF (General Aniline and Film) TruSlate Roofing installers in Illinois. Naperville Exteriors, Inc. is highly regarded for its workmanship and customer satisfaction. We are also known for having one of the most solid, family-friendly work ethics. Our customers know excellence when they see it! Our roofing business is built upon the concept that your family always comes first. As a result, you can count on us to remove all roofing debris from your roof replacement project. We also are known for placing the safety of our clients and their families as our number one priority. Isn’t it time you got in touch with Naperville Exteriors, Inc.? For a FREE estimate, call us, today, at: (630) 254-4831. We are here to help!